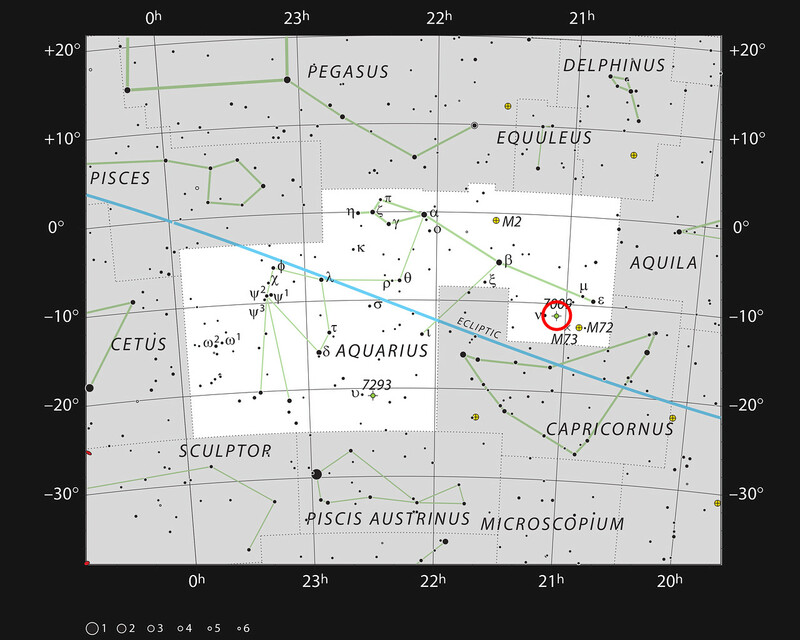 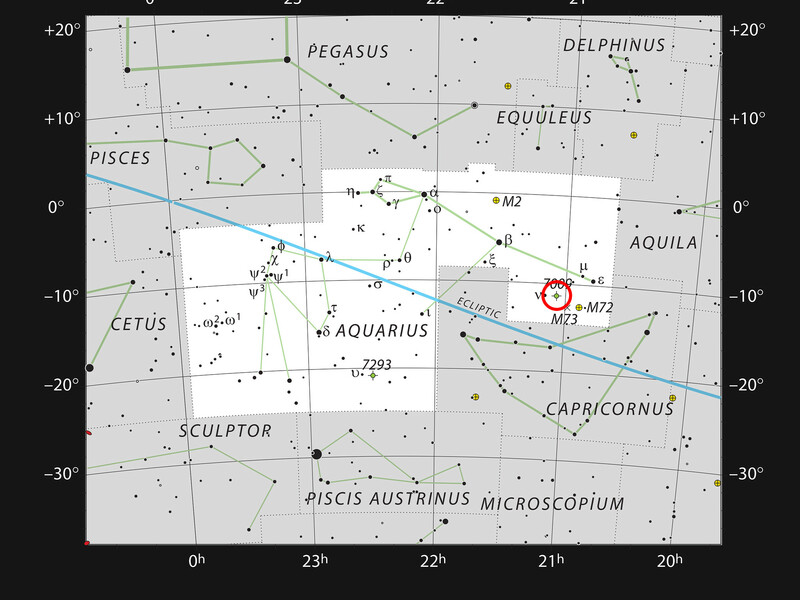 This chart shows most of the stars visible to the naked eye in the large but faint constellation of Aquarius (The Water Bearer). 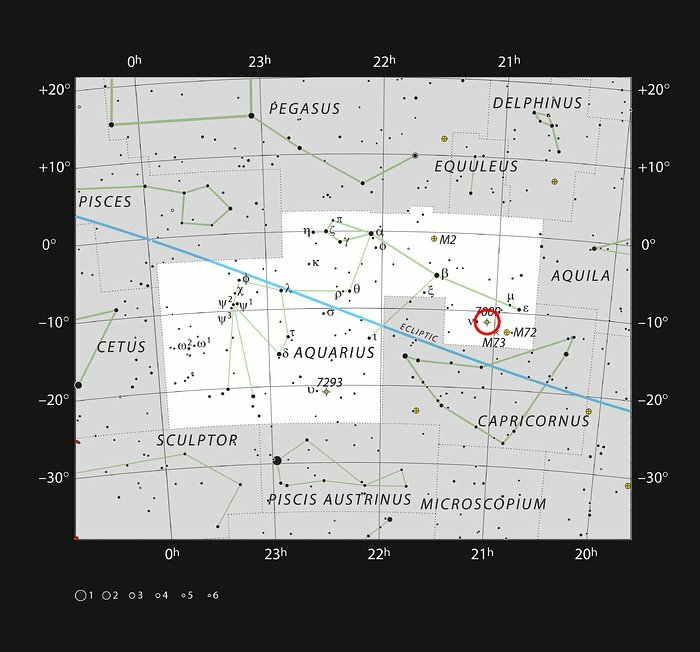 This constellation contains the bright planetary nebula NGC 7009, often called the Saturn Nebula because of its apparent shape. 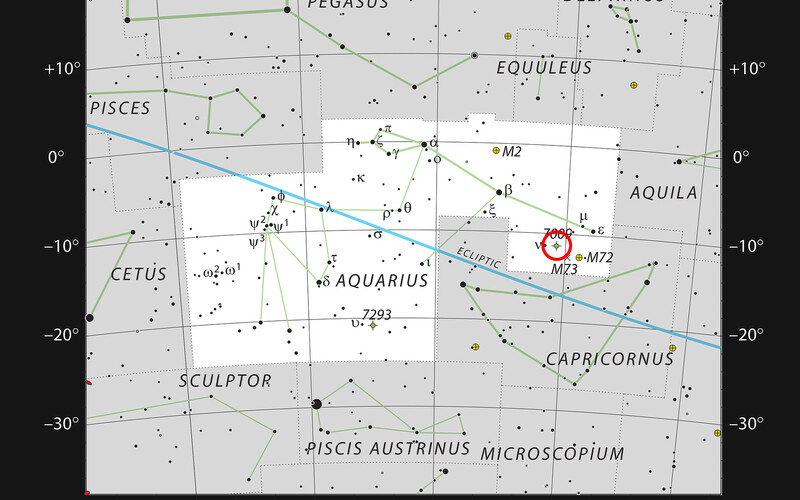 This object can be easily seen as a small but bright disc in small telescopes.